Named after the hindu goddess, Kali, incarnation of GoddessDurga, the Kali Gandaki belongs to yet another river system which is a runoff of a good number of mountain peaks in the Himalaya. Carving it's way between the gigantic peaks of Dhaulagiri and the majestic Annapurna, the river also weaves through the deepest george in the world. This is a medium length river and has rapids named Small Brother, Big Brother and Refund. This is a 3-days trip combining the great white water and its turbulent rapids, amazing scenery, little old villages and along the ways are great viess of mountains. From the put-in point., through villages and canyons no raod crossing is encountered. interesting fossils are found underwater ad some hidden beneath the white sandy beach. The thundering rapids, the incredible view of the Annapurna range and the huge gorges make this a unique experience. many temples and villages are visited along the way adding to the rafter's cultural experience. The rapids of Kali Gandaki. the rafters busy paddling through most of the day. The cultural exposure adds much to this exciting trip. The 3- Day Kali Gandaki Run. 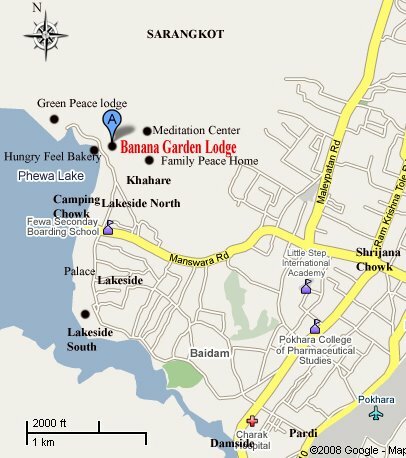 Pokhara can be reached by plane or by car taking thirty minutes or five hours respectively. The journey to the river be.. gins early in the morning from Pokhara. The put-in point is 40km away at Naya Pul and the drive takes approximately 2 1/2 hours. Mule caravans can be seen coming down to Pokhara and the mountains views are spectacular. After a briefing and preparations, everyone is on the boat. The first day's treat includes a series of Class III and Class IV rapids. Interesting rock formations are seen on the canyon walls as we paddle past. High above the river lie villages perched on hilltops. Birding is a special feature on this trip and such specimens as Red shank, cormorants and kingfishers can be seen along the river. The day ends at the campsite. Soon after breakfast the second day's trip begins and there are more Class Ill and Class IV rapids to maneuver, but as the day progresses, less of these are encountered compared to the previous day. Going further down, the landscape changes gradually and the valleys become wider. There are more temples along the way and villages mostly inhabited by Brahmins or Magars. Before the jungle corridor is entered, waterfalls are encountered that cascade down stalactite formations. The night halt is on a remote beach. At the confluence of two rivers (the Modi and Kali) rests the village of Modi Beni. The spot where two rivers meet is considered a holy site by Hindus and a massive boulder here is recognized as an important shrine by the locals. Some small rapids are encountered here and are relatively easy. The valley then widens, and the great gorge is left behind. The river loses its ferocity and the surrounding hills are no longer steep. Back in civilization, farmers can be seen busy in their fields and children wave from a distance. A lunch stop here brings an end to this marvelous three-dav river trip. A change of route on the way back to Pokhara makes the journey more interesting as. the road leads through rising hills, farmland and charming Gurung Villages. This three-day river trip takes one through the most diverse cultures and landscapes.